The BIM by Geomensura is a software architecture which is ready to receive the future dictionary of the IFC infrastructures. Mensura Genius allows you to work in the digital workflow. At any stage of the project Mensura Genius is able to exchange data with other software solutions. Numerous software designers in the infrastructure field work on stardardizing the construction projects exchanges around the LandXml standard. 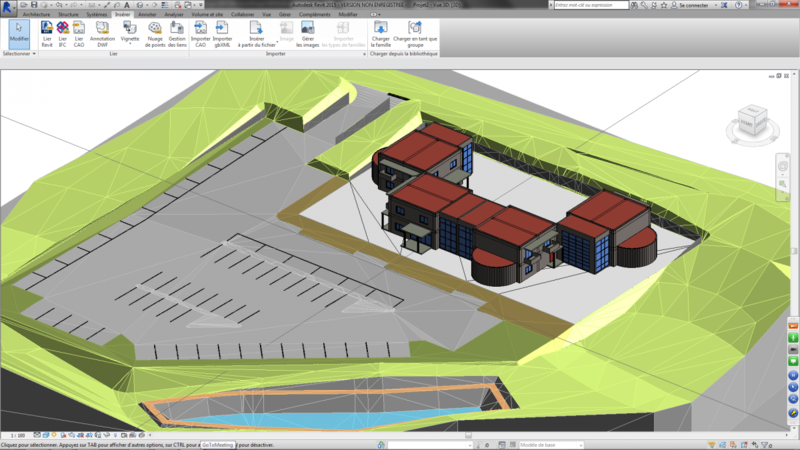 Import BIM architecture or engineering model to Mensura Genius with Google Sketchup® and its IFC plugin. Mensura Genius fits perfectly for the team projects around the 3D digital models. Using Mensura Genius enables you to successfullycomplete any building infrastructure project. 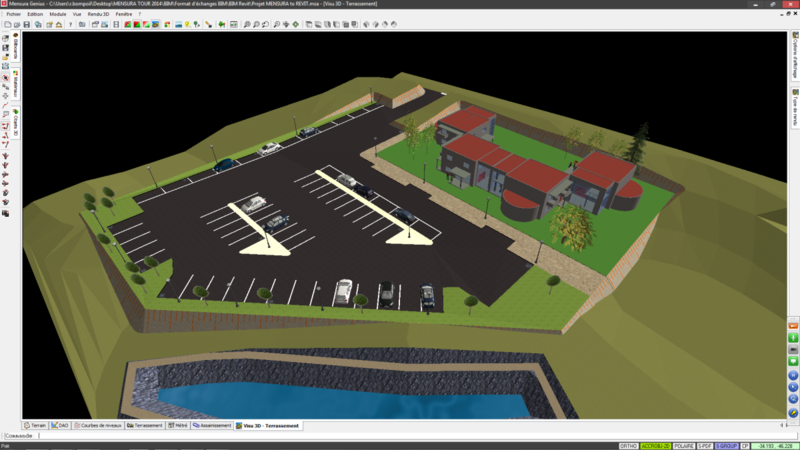 The models generated in Mensura genius can be easily used in the building design and modelling tools. 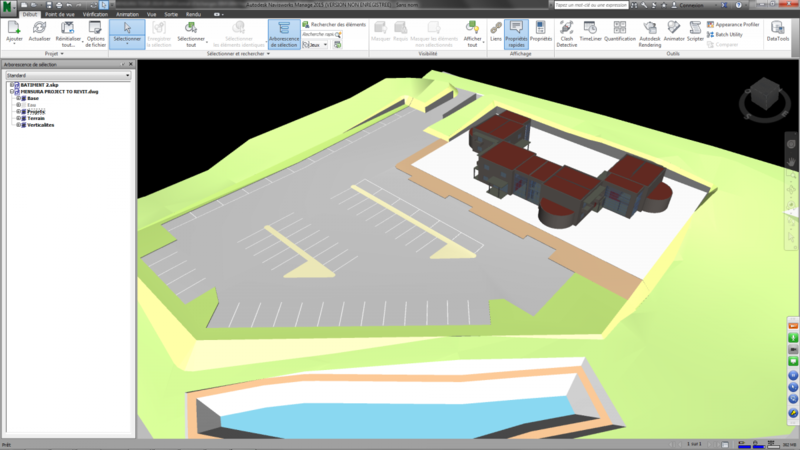 The models created with Mensura Genius can easily be used in other coordination or revision tool(Navisworks or others) which gives you a global digital model and enables managing 3D phasing.